Low Back - the lower part of the spine, or the lumbar vertebrae. The spine is made up of 24 moving bones called vertebrae. The top 7 vertebrae belong to the cervial spine (the neck), the next 12 to the thoracic spine (mid-back) and the bottom 5 segments make up the low back, or lumbar spine. 80% of people will experience low back pain at some point in their lives. The causes of lower back pain are vast, ranging from traumatic injury, accumulated repetitive strain, to faulty biomechanics. People often overlook how faulty biomechanics in one’s gait and posture while standing can cause or influence low back pain. For example, if a person has flat feet, they will tend to roll each foot inward when they stand as a means of shock absorption (this is called overpronating). In people with overpronated feet and ankles, the distribution of weight can cause the knees to turn inward, and this can lead to unsteady hip posture that consequently destabilizes the spine causing back pain. 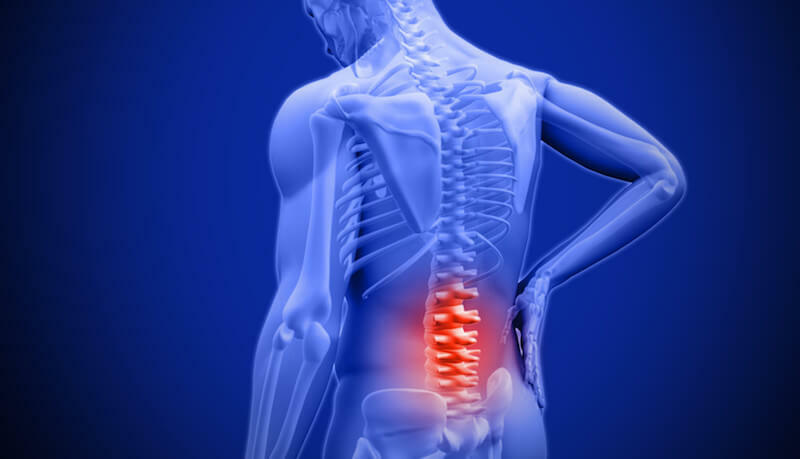 If you suspect that the lower back pain you are feeling may be the result of abnormal biomechanics, custom orthotic inserts may give you the lower back pain relief you’ve been looking for. Chiropractic treatment can be another extremely beneficial treatment for lower back pain as well. For more information on chiropractic treatment and low back pain, visit our chiropractic website. Dr. Michael Horowitz offers a 5-Step process to successfully treating Low Back Pain. He can help evaluate & diagnose your condition and recommend the best course of action for you. Call Vancouver Orthotics at 604-737-3668 for more information. What is the most effective treatment for low back pain? What exercises & stretches do you recommend for low back pain? What other symptoms are most commonly associated with low back pain? What shoes are best for low back pain? Where can I get medical hardware for low back pain? Why is low back pain so chronic?